Matching your expectation and delivering beyond imagination is a tradition we follow at Agriya. We continued this tradition by upgrading our vacational rental software with new and charming landing page designs. We teamed it up with excellent and result-yielding modules. This upgrade has transformed Burrow to be the next generation vacational rental software. Let’s explore the world of Burrow and its new changes. Burrow is the next generation and plug-in friendly vacational rental software, which assists webmasters to create a vacation rental booking website like airbnb, HomeAway, Roomorama, etc. Let’s check out what’s special about Agriya’s new version of Burrow. Agriya reinvents the design of Burrow into a responsive and fast loading web3.0 design. 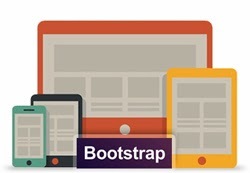 It is designed in bootstrap framework and PJAX technology. This empowers the website to have crystal clear designs with fast loading time. A webmaster can opt different plug-ins and change the entire look of the website. We have also provided pre-launch and private beta web designs, to help them to gather vital information during these two phases. Agriya has embedded an ad banner mechanism and advertisement captcha in its vacational rental software. 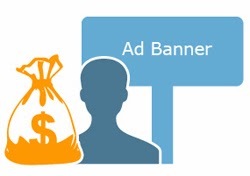 This helps the entrepreneurs to take advantage of affiliate and advertisements. He also earns money, when user enters captcha in various areas of the website. We have developed a module which boosts the website loading speed with the help of 8 high-end technologies like Cloud flare, Google page Speed, PullCDN, E-mail Delivery, Redis, Mem cache, Full page cache and AmazonS3. This exclusive module will help the website to gain web reputation and spread their reach in social media website. It will help the users to share content and invite friends from social media websites. This marvelous module will provide webmasters a comfortable experience to view all the important web stats in a glance. They can have keen look at the data and improvise their website accordingly. Agriya has developed an exceptional and unique module which is not present in any of the vacational rental booking websites. With the help of this feature, guest can find a property for a location just by filling a form. Once they submit the form, our vacation rental software will intelligently map the requirements and send mail to the host. Then guest and the host can communicate and strike a deal on the website.